When thinking of improving your bathroom many customers like to forward plan to avoid the dust and chaos of a remodel every few years. 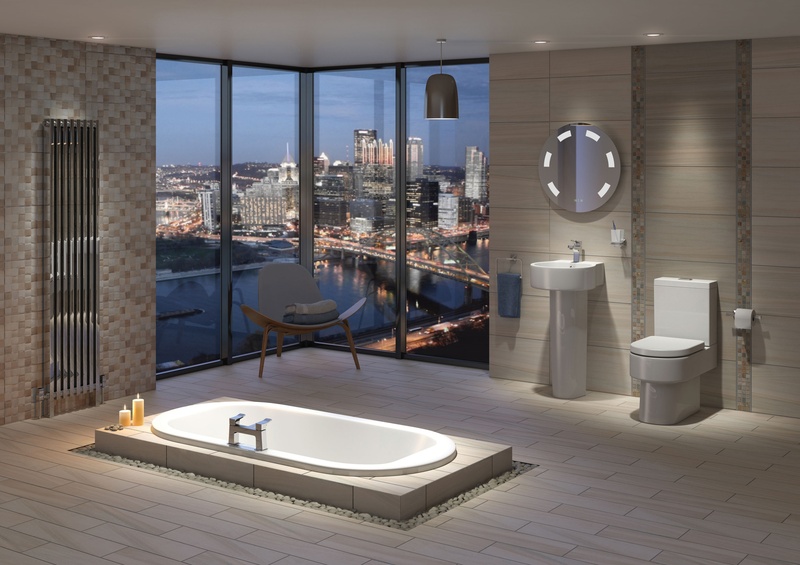 Bathrooms are often the smallest room in your house, but the most expensive to renovate. Bathroom planning is vital to make sure you get it right. 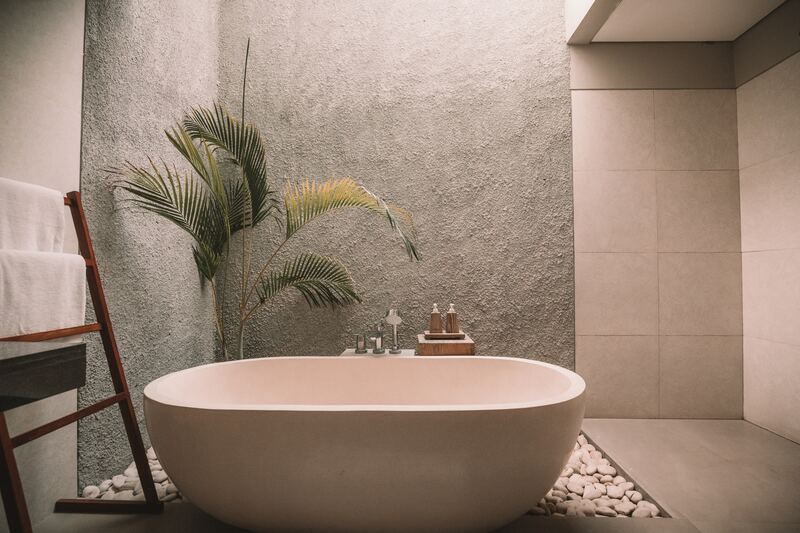 Here are our top tips for creating a bathroom space that is not only timeless in it's style, but practical in the long term too..
We hate to admit it but we are not getting any younger. There will come a day when you find yourself maybe starting to struggle getting in or out the bath. So if that day has arrived or you are considering some bathroom renovations, plan for the future and make the right changes today. There are many options available depending on the space you have, one option we have found to be very popular this year is the walk in shower or even a wet room. When bathroom planning consider the benefits of a walk in shower, nothing to trip on when climbing in and out, often much less slippy, and these have much more space to move around in compared to a traditional shower enclosure, and best of all they are much easier to clean! Where space allows there can also be the option to include a built in seat which, if done properly, will complement the design, help you out, and add value to your home! If a shower is not something you are wanting in your bathroom planning then think about other options that will help you out, there are the options of installing hand rails, or even baths with doors and seats built in to help you in and out, with these options, as helpful as they may be, it may not to be to everyone’s taste if you ever come to sell your home. When choosing your bathroom tiles stick to something neutral. Changing your tiles is not too much of a hassle but can involve removing fixtures and can create a lot of dust - which if you are a neat freak like me, can be quite stressful! Earthy tones are best. You can never go wrong with white for wall tiles. For floor tiles stick to something textured as smooth tiles can be slippery and hazardous when you get a bit older. A slightly darker tile is best as white can show up every speck of dust. If you can, add in some wood for a warm feel. Paint is easy to change. So while you want to stay neutral with your tiles and fittings, adding in a space where you can paint allows you the flexibility to change the look of your bathroom as time goes on without much effort. Choose a bold colour to create a feature wall and use the same colour in your bathroom accessories. 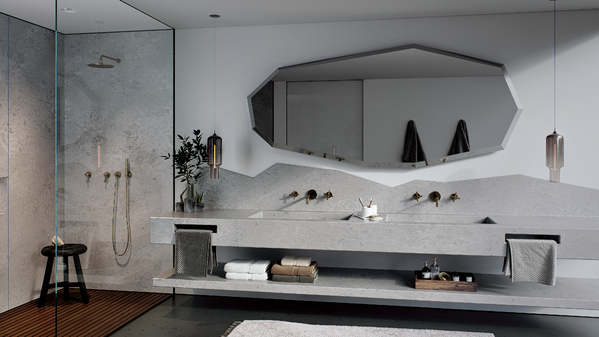 If your budget allows for it, adding some natural stone, such as this concrete feel stone from Caesarstone, into your bathroom will create an elegant look and increase the value of your home. If budget is an issue, opt for a cheaper yet high quality stone such as Stylestone, our use stone for a smaller area such as as accent in your shower. If you have some budget aside to spend on luxury items, spend it on fixtures. Higher quality fixtures will last longer and increase the value of your bathroom. A good shower head and some beautiful taps can create a truly timeless appeal. When choosing your white fixtures, go traditional. A traditional standalone bath never goes out of fashion. Try to ensure your basin provides counter space too. A trough basin might be fashionable but a lack of counter space can be frustrating and impractical. 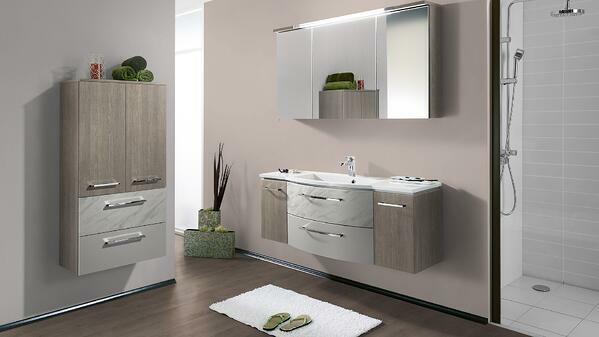 If you do opt for the stand alone basin, install some storage close by for your items to be easily accessible. Keep counters clutter free with smart built in storage. Ensure you have plenty of space for your cleaning products, towels, spare toiletries and anything else you may store in your bathroom. Why not have a built in laundry basket too? That way all your space is open and clean to maintain a fresh look. 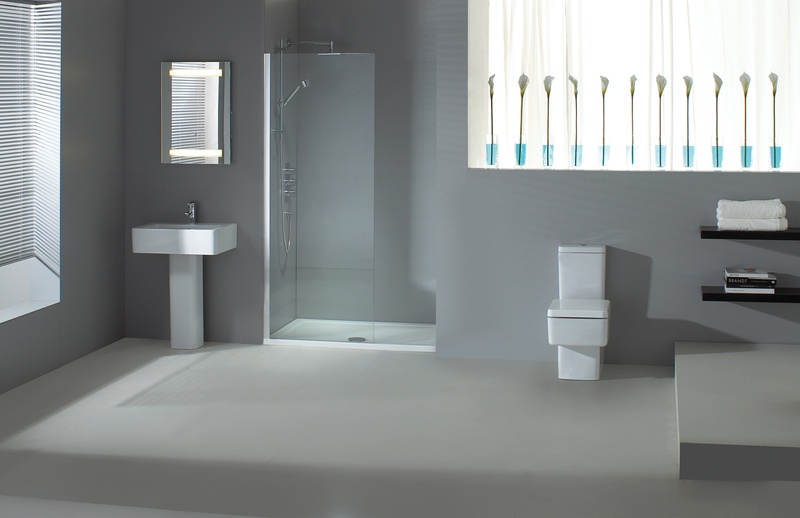 A dim bathroom can be great for a long, relaxing bath but can be impractical for when your eyesight begins to worsen. If you would like the option, invest in some dimmers so that you can adjust the lighting. A great investment to save electricity is automatic sensors that only turn on at night and when someone enters the room. 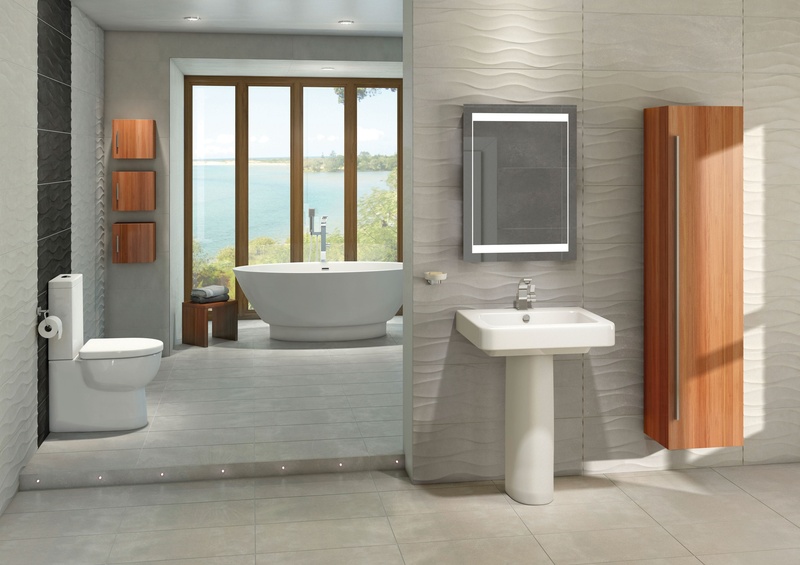 Our expert designers can help and advise you through the bathroom planning process making sure you have everything you need. And unlike many places, we are with you through the whole process from initial design to complete installation of your dream bathroom. Book a free design visit with us below to start planning you forever bathroom.